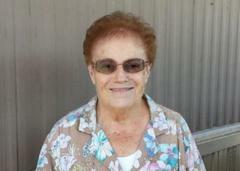 A 70-year-old woman reported missing from Lakeside has been found safe. Deputies from the Ranchita Sheriff's Substation found Kathryn Anne Kennedy at a campground near Ocotillo Wells. She drove to the area from Lakeside and sought help from a store at a campground when her car got stuck in the mud. We would like to thank the public and the media for looking out for Miss Kennedy. If you have a loved one who has Alzheimer's or suffers from a physical or mental disability, you can sign them up for the Sheriff's Take Me Home Program. It's a FREE and confidential service that can help law enforcement find a loved one in the event they get lost or wander away. For more information or to enroll online, visit: www.sdsheriff.net/tmh. The Lakeside Sheriff's Substation wants your help in locating a missing person. 70-year-old Kathryn Anne Kennedy was last seen at her home on Harritt Road in Lakeside. Her family reported her missing on Wednesday, January 16th. Kennedy may be driving a 2007 Chevrolet TrailBlazer (similar to the one in the attached photo) with California License Plate #6RQP193. Kennedy stands 5'6" tall, weighs about 180 pounds and has brown curly hair and blue eyes. If you have seen Kennedy or have any information on her whereabouts, call the San Diego County Sheriff's Department at (858) 565-5200.